Whether it’s office productivity or powerful digital marketing, we emphasize the latest technology to keep our associates ahead of the competition. 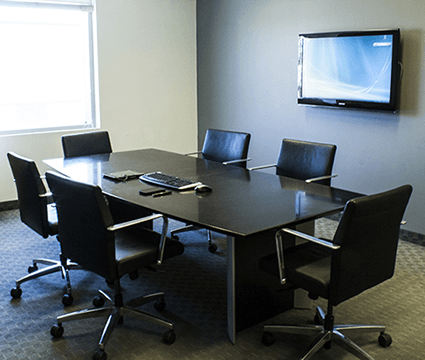 ​Our boardrooms feature large HD displays for impactful client presentations. Our workstations are equipped with powerful computers and modern ergonomic desks and chairs. Electronic charging stations for agents if they have forgotten their own chargers. For cold-calling or important handsfree phone calls, we have highest quality USB office headsets. A variety of high-performance printers, scanners, and fax stations around the office. Agents have available to them the Design Studio’s top of the line Xerox 700i Digital Colour Press printer for all their marketing needs. 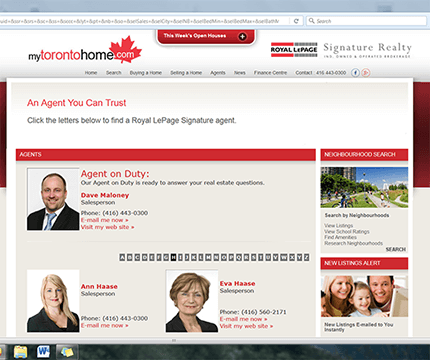 PERSONAL WEBSITE AND "AGENT ON DUTY"
With the website, agents also get a monthly e-newsletter sent automatically to all clients and prospects. We have a dedicated focus to social media marketing/prospecting that includes “Tech Talk” training on how to use social media platforms to build a fan base and at-tract leads. We have an in-house Digital Media Strategist to personally assist you and guide you in how to use social media to your advantage. You will not find a more comprehensive to digital marketing and communication. We help you stay out front. Have a quick question about a property? Considering a marketing strategy and want some input? 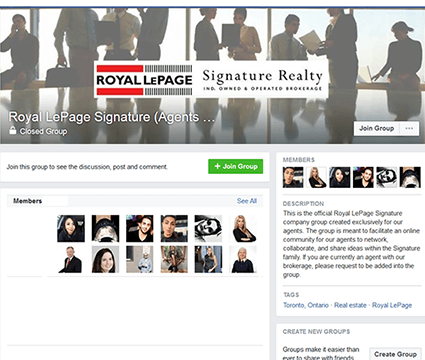 We developed our own private Facebook group so Signature agents can communicate quickly and efficiently with each other, fostering a sense of team even while operating remotely. It’s all part of our commitment to getting the most out of technology. Experienced Agent Clint Harder speaks about his new found interest in social media marketing and how he is incorporating digital marketing into his real estate business. 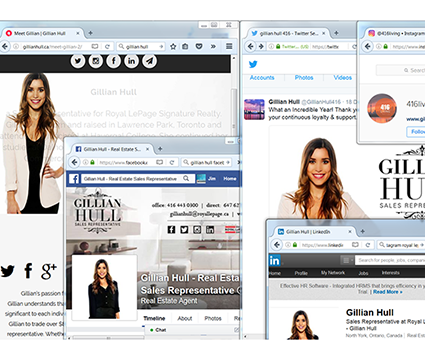 He has been working with the Royal LePage Signature in-house Digital Marketing Expert to strategize and build a strong online presence for his business. The digital marketing training is helping Clint learn to connect and build relationships with his clients in a way he has never been able to before.